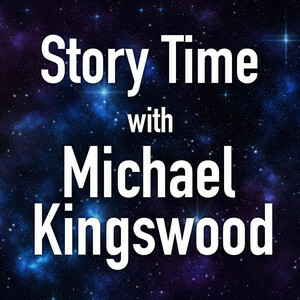 We found 10 episodes of Story Time With Michael Kingswood with the tag “audiobook”. Continuing with Glimmer Vale, Glimmer Vale Chronicles #1. This week: chapters 23 and 24. Enjoy! Writer status update, and Chapters 21 & 22 of Glimmer Vale. Continuing with the audiobook presentation of Glimmer Vale, Glimmer Vale Chronicles #1. This week, Chapters 19 & 20. Continuing on with Glimmer Vale (Glimmer Vale Chronicles #1). This week - Chapters 17 & 18. We're continuing with Glimmer Vale (Glimmer Vale Chronicles #1). This week - Chapters 15 & 16. This week we're reading Chapters 13 & 14 of Glimmer Vale, book one of the Glimmer Vale Chronicles. This week, Chapters 11 & 12 of Glimmer Vale, book one of the Glimmer Vale Chronicles. This week, Chapters 9 & 10 of Glimmer Vale, book one of the Glimmer Vale Chronicles. This week, we're presenting Chapters 7 & 8 of Glimmer Vale, book one of the Glimmer Vale Chronicles. Continuing with our presentation of Glimmer Vale, Glimmer Vale Chronicles #1. This week - Chapters 5 & 6.